Sirius Pro is a fully responsive and highly customizable one-page WordPress theme for all types of different WordPress websites. This multi-concept WordPress theme is ideal if you would like to create professional, elegant or versatile business, corporate or personal websites. Sirius Pro lets you set up and customize your website with comparative ease. Inspired by material design, you may launch unique and creative online presences according to your own personal preferences. 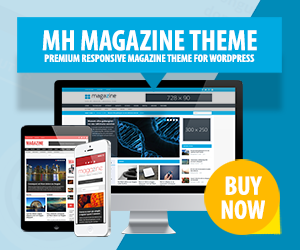 Amongst the top features of this multi-purpose WordPress theme you’ll find multiple home page layouts, video format posts, drag & drop home page section and so many more.